Senturian Security has been providing security for construction sites during working hours and out of hours since 2008. Because we understand the inherent safety risks on sites we have obtained accreditation with Safe Contractor, CHAS and Constructionline; and all our security officers working on construction security possess CSCS cards. We undertake a thorough site security survey both during and outside working hours and make recommendations on ensuring that access and egress control is strictly maintained, preventing pilfering of materials and equipment. Also we propose measures to prevent unauthorised access outside working hours to reduce the risk of theft, vandalism, arson or health and safety liabilities. In today’s economic climate the number of vacant commercial buildings awaiting sale or demolition is on the increase. These properties unless properly secured, present risks of liability under the obligations of the 1957 and 1984 Liabilities Act, 1974 Health and Safety at Work Act and 2008 Health and Safety (Offence) Act. If any unwanted intruders such as children playing, or intruders with malicious intent are injured in these vacant premises then the owner is liable to fined or imprisoned. Therefore Access Control is crucial to prevent these risks along with theft, vandalism or arson. 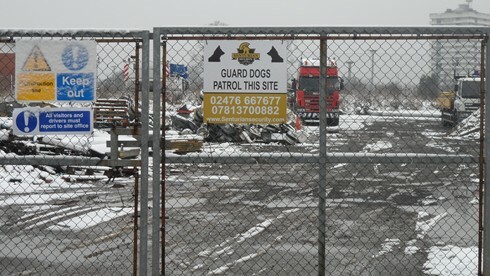 We can provide an appropriate mixture of measures to safeguard each site from unwanted intruders and ensure that potentially hazardous areas and substances are cordoned off and signed accordingly. We also ensure that bone fide visitors such as potential purchaser or surveyors are met and escorted. We ensure that dedicated staff are allocated to each contract and are correctly trained and motivated. Above all we aim to build long term partnerships with our clients based upon value for money and consistent high quality service.